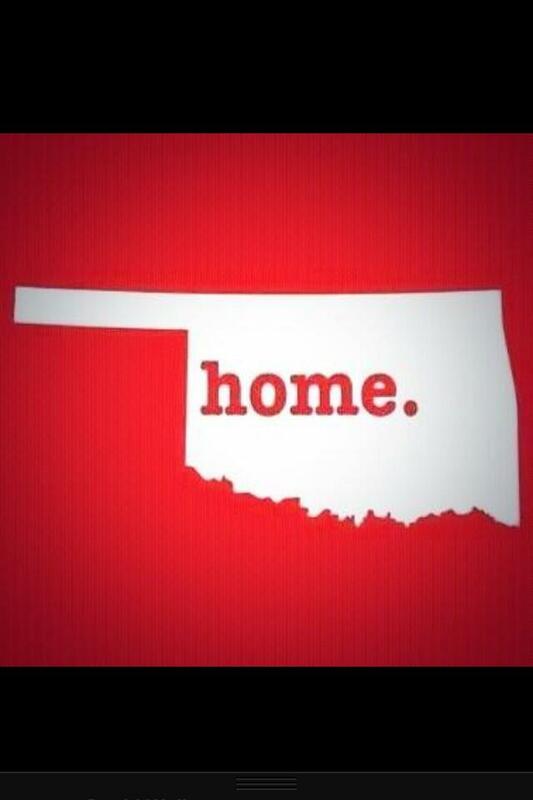 For the 2nd time in less than 15 years, another record setting tornado leveled the city of Moore, Oklahoma. Now is a time for mourning and reflection. Pray for the victims and their families. But, also remember, that we’ve been here before. We’ve faced many a tragedy in these last 20 years. We’ve overcome. We’ve triumphed. This will be no different. 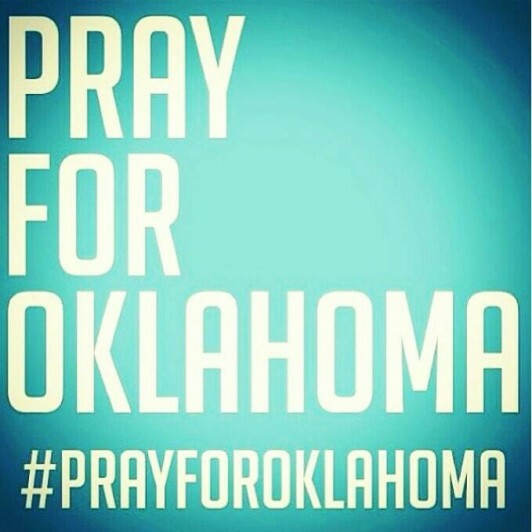 We are Oklahoma Strong! 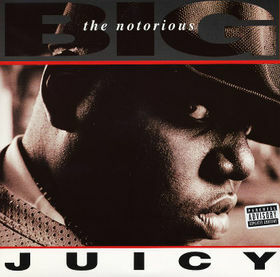 “It was all a dream…” The opening line to “Juicy”, one of the greatest rap songs ever written. Christopher “Notorious B.I.G” Wallace’s opening salvo into our collective consciousness was, perhaps, the greatest conveyment of a musical rags-to-riches story. Great things always have a way of starting off small. Facebook started off as a social network for only Ivy League students and had the word ‘the’ in its original title. Microsoft started off as two friends who were great computer programmers. The Oklahoma City Thunder started off as a 23 win franchise that was in the running to be the worst team in league history for much of the season. But, oh, how things have changed. 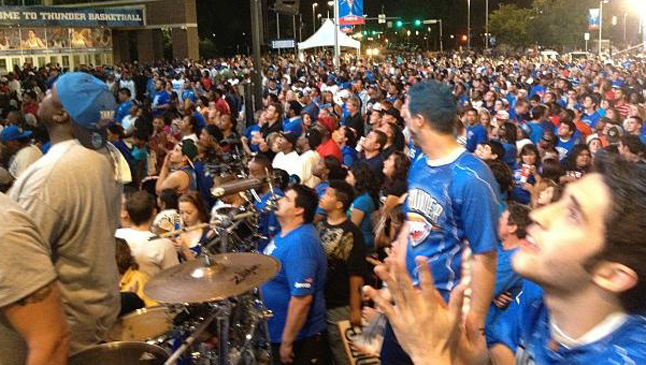 From a fan’s perspective, this was a celebration of the Thunder’s first trip to the NBA Finals. From the outside, this just looked like the finality of a four year run that started off very slow, but has been on a uphill trek ever since. But from the inside, this wasn’t just about the last 4 years. That collective cheer that you heard from the Chesapeake Energy Arena on June 06, 2012 at about 10:30 PM was a roar of passion. Passion, not only for the team, but for the state. A roar for ourselves. Not for each collective ‘me’, but instead, for the collective ‘we’. When you are from Oklahoma, you always hark back to THAT day. April 19, 1995. 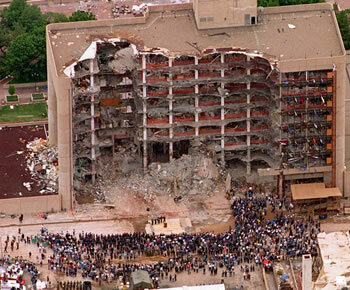 The day innocence was ripped from the hearts of Oklahomans of all ages. The day we learned about evil and heartbreak. But, on April 20, 1995, we got up and started using a new vernacular. We started to live by words like RESILIENCY, COMMUNITY, SACRIFICE, TOGETHER, HUMILITY, HARDWORK. We knew the trek ahead was tough, but we knew it was a trek we would take together. If that wasn’t bad enough, 4 years later, the city was struck by what has been called the Monster of all tornadoes. 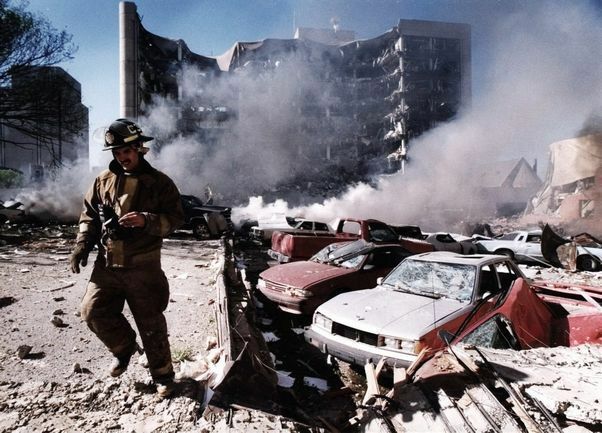 An F5 tornado with multiple vortices, ripped through the southern part of Oklahoma City, destroying the suburb of Moore, Ok and the city of Bridge Creek, Ok. Once again, probably because of the hard lessons learned from the Murrah Building Bombing, we knew how to react to this tragedy and pulled together. City leaders, construction workers, politicians, and citizens all stepped up to the plate to improve the namesake city of the state. What was once a warehouse district was transformed into a sprawling entertainment district in the span of 20 years. With those improvements, came a 20,000 seat indoor sports arena originally known as the Ford Center. This would become the hub of our professional sports dream. Of course, with any dream, there are obstacles that stand in the way of achieving the ultimate goal. First, was the fact that we were the 44th largest TV market in the United States. While that sounds great in comparing it to the other 25,000 cities in the United States, that doesn’t bode well for any professional sports league looking for an expansion city. Secondly, was that fact that the professional sports leagues weren’t necessarily looking to expand at that time. The NBA last expanded in 2004, MLB in 1998, NFL in 2002, and the NHL in 2000. 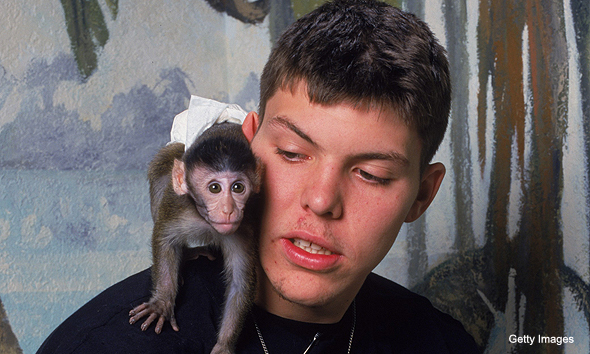 There’s a saying that goes, “When opportunities comes a’knocking, you better open the door.” When the tragedy of Hurricane Katrina happened in September 2005, the New Orleans Hornets were left with no place to play and hardly a populance to play for. Looking to lend a helping hand AND prove our worth as a big league city, Mayor Mick Cornett and city officials lobbied the NBA’s front office for the opportunity to host the Hornets for as long as necessary. While initially down playing the idea, the NBA decided to give Oklahoma City this opportunity of a lifetime and allow the Hornets to play at the Ford Center for what would eventually become 2 seasons. And Oklahoma City proved its worth, quickly growing a reputation as one of the loudest fan bases in the league for its adopted team. For those two seasons, the Hornets became synonymous with having a distinct home court advantage. 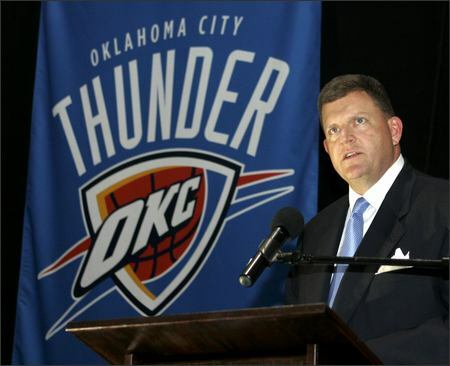 It became OKC’s first foray into professional sports. 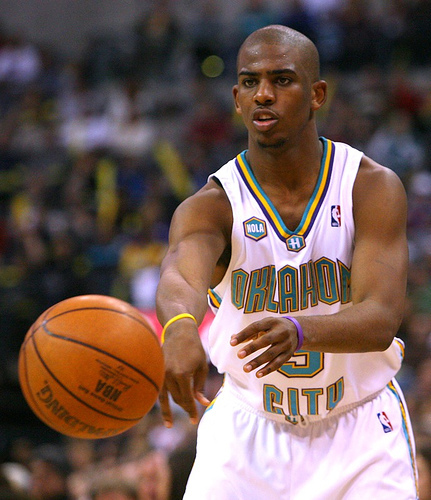 Chris Paul won Rookie of the Year in his first season in OKC and David West became a burgeoning All-Star. Tyson Chandler became known as one of the best defensive big men in the league and Peja Stojakovic became known as one of the biggest free agency busts in his one season in OKC. And after two seasons, the music stopped. It was a bit disappointing when the Hornets left. Its like being in a 2-year relationship with someone that still had ties to their ex, and then being single again when your significant other goes back to their ex. We always knew the Hornets were going back to New Orleans, but the hope of them some how staying in OKC long-term was still in the back of most our minds. But this was no time to hold our heads down. Their was another opportunity to be had, and another team in the horizon. Regardless of what you think of the way OKC got the Thunder, the fact still remained that as of July 2008, the Seattle Supersonics ceased to exist and the Oklahoma City Thunder came into existence. Civic pride will make you argue the move until you are blue (Thunder blue, of course) in the face, but Oklahoma City had its team and it was time to show and prove. That first season was brutal, though. We knew we were getting a skeleton crew of a team with some young, unproven talent, but we didn’t know it was going to be this bad. The morning after another of our home losses, I called to the local morning sports talk radio show and just vented. I didn’t know if I could do this anymore. Living 90 miles from OKC and having to drive more than an hour each way, made driving back from the mounting losses excruciating. It’s almost like the team was stuck in a rut when it first got here and you had to wonder whether there wasn’t some karmic justice at play at how we had obtained the team. Thankfully, a coaching change and the general improvement of the young players led to a good finish and a hope for the next season. We all know what has happened the last two seasons. 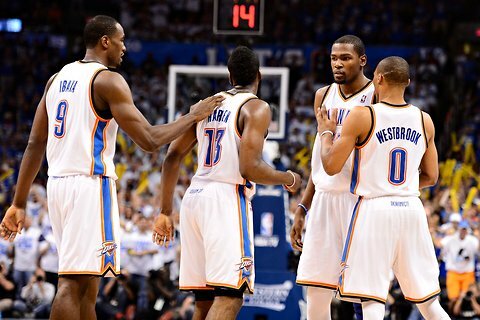 After a meteoric rise in their second season in OKC, the Thunder made the playoffs as an 8th seed and took the eventual champion Los Angeles Lakers to the brink of a 7th game in a riveting first round series. The team’s young stars (Kevin Durant and Russell Westbrook) went on to be the main components for a Team USA squad that won gold in the 2010 World Championships. In the next season, we finished with the 4th seed and made it all the way to the Western Conference Finals, losing in a close 5-game series to the eventual champion Dallas Mavericks. Suffice to say, expectations were definitely mounting. Finally this year, in a season that was on the brink of not happening at all due to labor strife, the team exerted its dominance on most of the league and finished with the 2nd seed in the West. Two things became apparent as we marched towards this point. 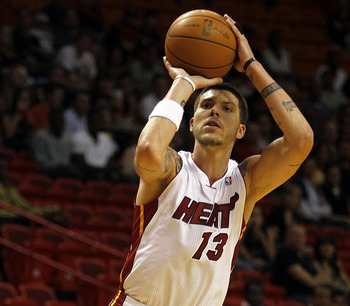 Number 1: This team was mature beyond its years and eschewed the notion that youth has to wait. 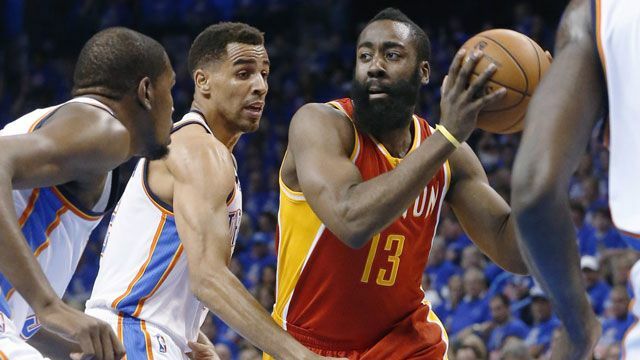 Number 2: The home crowd was actually beginning to affect the play of the young Thunder. While last season, the Thunder players were the ones being criticized in the postseason, it was our turn, as fans, to be criticized this postseason. It started when the organization began playing games on the huge jumbotron TV outside of the stadium. What became famously known as Thunder Alley started as a small gathering (1000-2000) of fans that could not get tickets to the game, but wanted to experience, first-hand, the atmosphere of being at the playoff game. Eventually that small gathering turned into an all-out block party that some reports say reached as high as 10,000 + spectators in Thunder Alley. When you get that many people in a small space, bad things are bound to happen. Violence erupted after the clinching game of the 2nd round, and the postseason form of Thunder Alley was shut down. 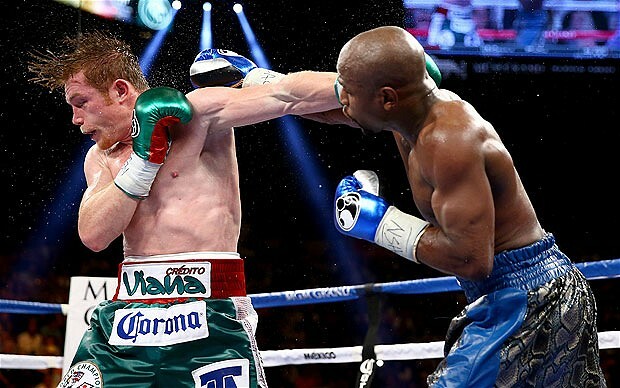 It is pretty sad when real fans have to suffer at the expense of a couple knuckleheads. Some people aren’t fortunate enough to be able to afford playoff tickets, but still want to be in the playoff atmosphere.